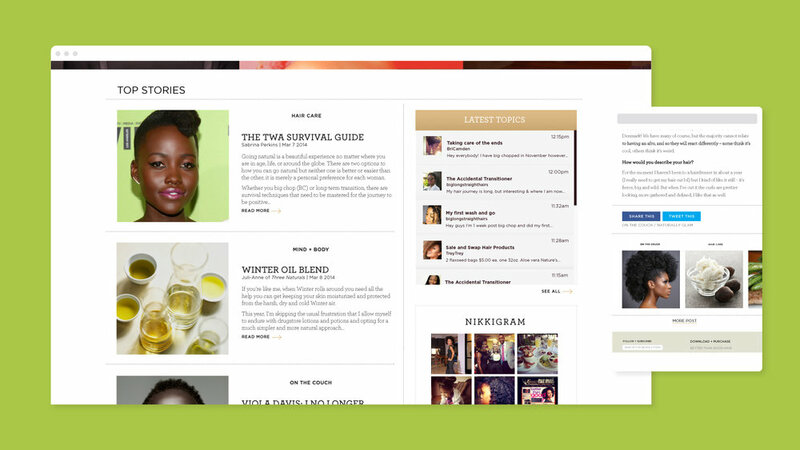 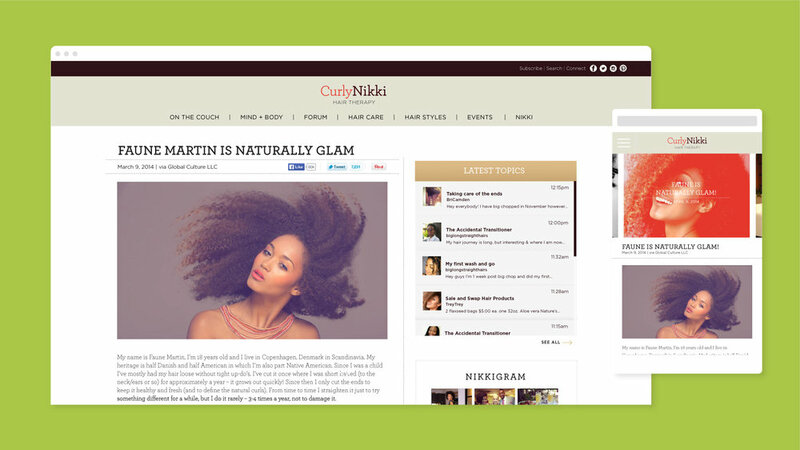 CurlyNikki.com was created to serve as an online “hair therapy session” for those struggling to embrace their naturally curly hair. 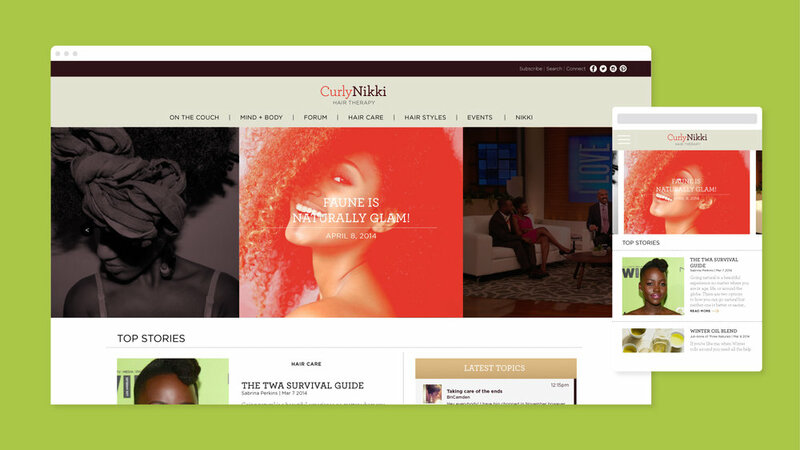 It not only serves as an educational tool, but as a platform for women to share their experiences, frustrations, and triumphs of being Naturally Glamorous. 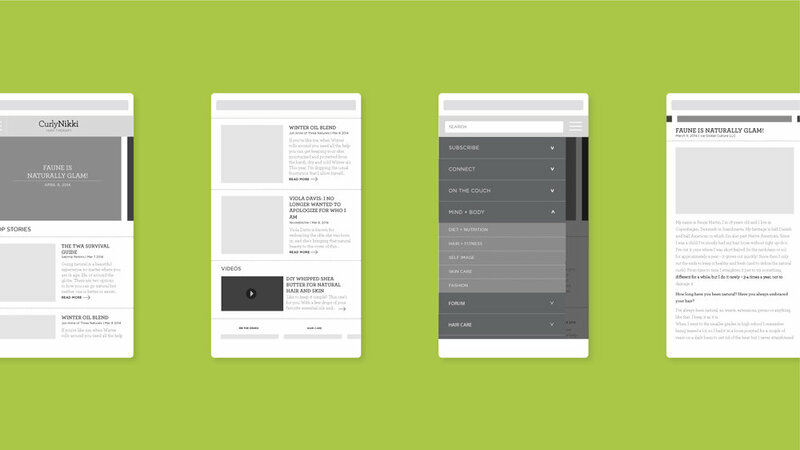 For this redesign to be successful it needed to have hierarchy, something the previous site did not. 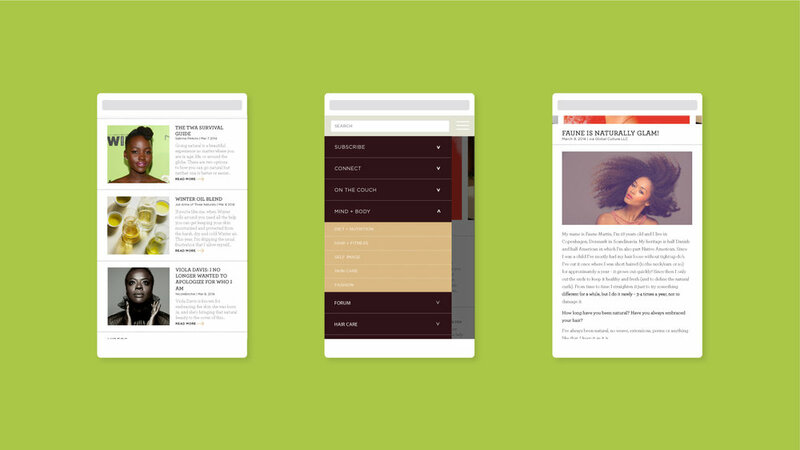 This new design uses large-scaled images in a slideshow to introduce the most important content and is then followed by smaller blocks of information and a sidebar, allowing the user to digest the content in order of importance.